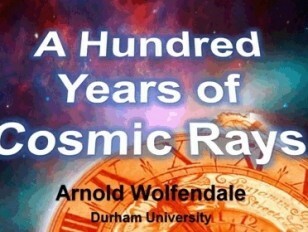 Sir Arnold Wolfendale FRS is Emeritus Professor of Physics at the University of Durham, and former Astronomer Royal. In 1912, Victor Hess embarked on a perilous balloon ascent and discovered the ‘Cosmic Radiation’, actually a beam of atomic particles. Whole areas of science were stimulated by the discovery, although it must be said that we’re still not quite sure where they are coming from. This lecture will discuss the discovery of cosmic rays, its implications, Britain’s role and where we go from here.